Fortunately, payday loans make it possible for you to obtain a short-term loan for an emergency without a credit card check. However, your ability to qualify for all types of funding can be greatly improved if you follow the tips listed below to increase your credit standing. (1) Get Rid of Those Excessive Balances. Probably the fastest way to improve the number for your credit score is to pay down or pay off the balances of your current credit card accounts. Make it a goal to pay down or pay off the balance of the card with the highest APR first followed by the card with the next highest interest rate, etc. Using this approach will bode well for your future finances and will keep you in the good graces of both lenders and credit issuers. (2) Make Sure Your Credit Card Companies are Reporting Your Payments to the Credit Bureaus. If you find that you are paying on a card that does not report your payment progress to at least one of the two credit reporting agencies, transfer the balance to a card that will make the monthly notation. Or, pay off that balance, if it is small, and stop using the card. (3) Look to See if Your Credit Limits are Listed Correctly. As the amount of available credit can impact your credit rating, make sure that the limits that have been established are correct. (4) Lengthen Your Credit History. Boost your credit rating by asking that you be included on the account of a relative that has been making his payments regularly on a well-established account. (5) Ask for Forgiveness. Maybe you have an account that has been late a couple times – such as a car loan. You may be able to increase your score by notifying the lender about the reasons for your tardiness and asking that the negative entries be removed. (6) Take a Proactive Stance – Report Mistakes on Your Report without Delay. If you see errors on your credit report, don’t allow them to linger there for too long. 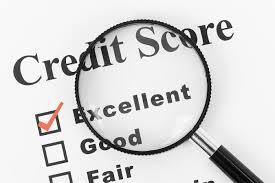 Report the mistakes without delay as that kind of false information can place a heavy burden on your credit rating. (7) Dispute Old Information that is Negative. If your report features older accounts with negative information, dispute the details. Typically, the information will be too dated for it to be verified. (8) Obtain a Secured Card. If you want to make a commitment to increasing your credit score, then applying and using a secured card can assist in making a difference. You’ll need to make a deposit of $200 to $500 as that will serve as your credit limit. Make your payments on time and your deposit will be returned if you move up to a regular credit card. 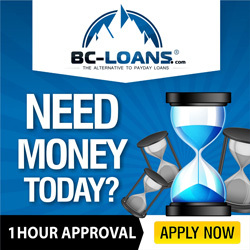 (9) Apply for an Installment Type Loan. If you pay an installment loan on time, then you can’t help but see a jump in your credit standing. A mortgage loan, car loan, or personal installment loan can all be used to increase your rating, provided, again, that you make the regular monthly payments and are not late. (10) Look for a New Card. If you find out that excessive interest on a card is making it hard to meet your monthly card payments–thereby jeopardizing your credit rating–look for a new credit card, or one which charges a lower APR. You may be able to secure a card that also comes with such perks as cash back or airline mileage rewards.